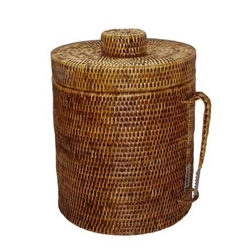 Large Natural Woven Insulated Ice Bucket with matching tongs. Item No. 1383 Rattan Ice Bucket; Lg.